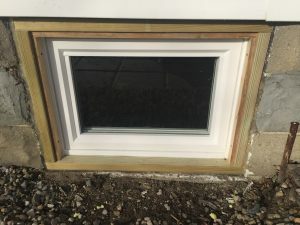 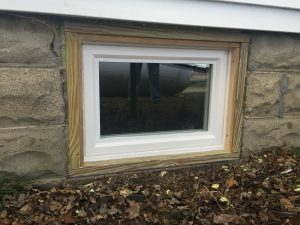 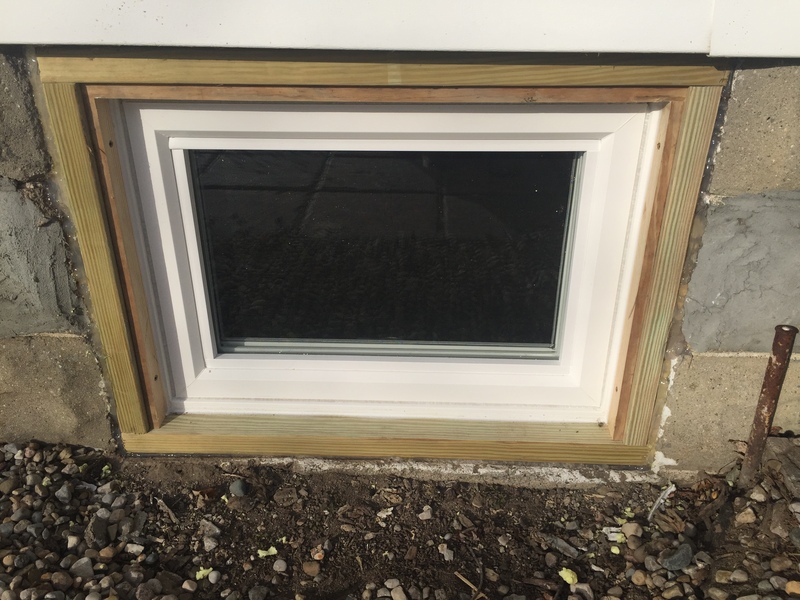 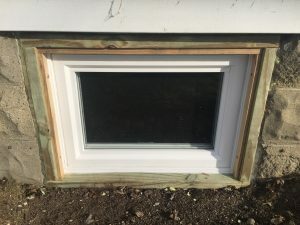 At some point, you have to replace those old steel-framed, single pane, drafty basement windows with something a little more energy efficient. 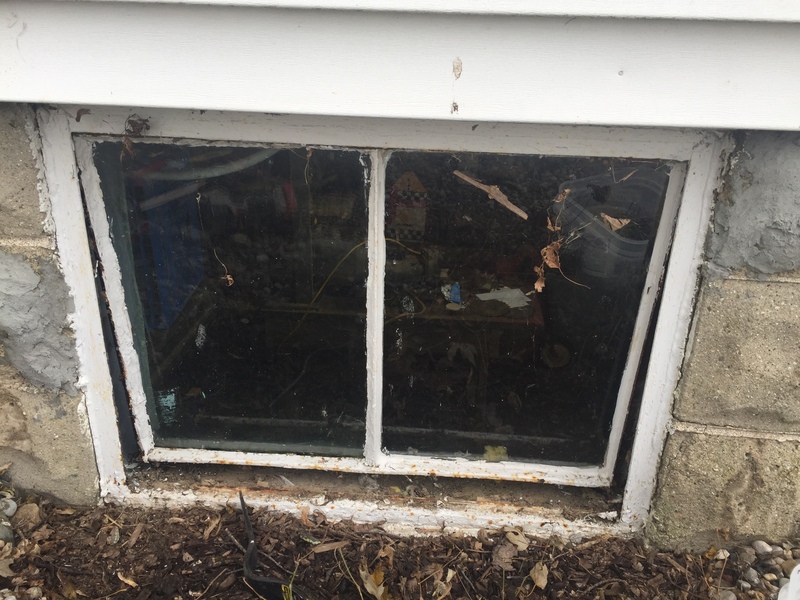 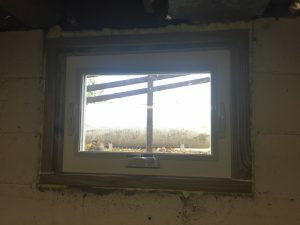 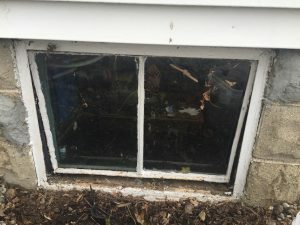 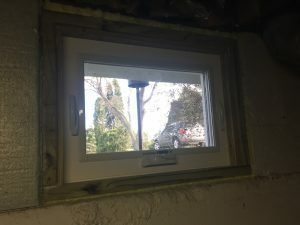 Every fall season, this homeowner dreaded going to the basement to place foam board insulation over the old windows, only to have to remove it each spring to allow light and a cross breeze to enter. 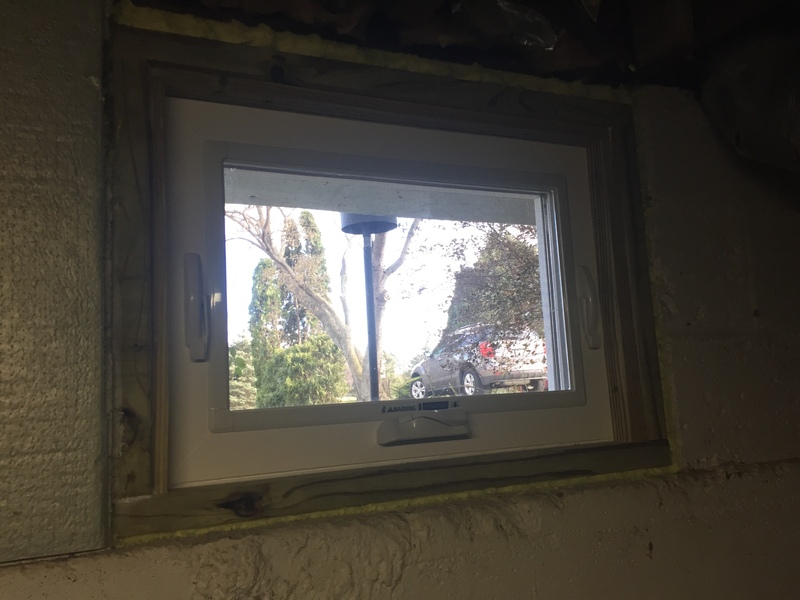 It was time for an upgrade. To properly accomplish this task, I had to cut out the entire steel window frame down to the rough block opening. 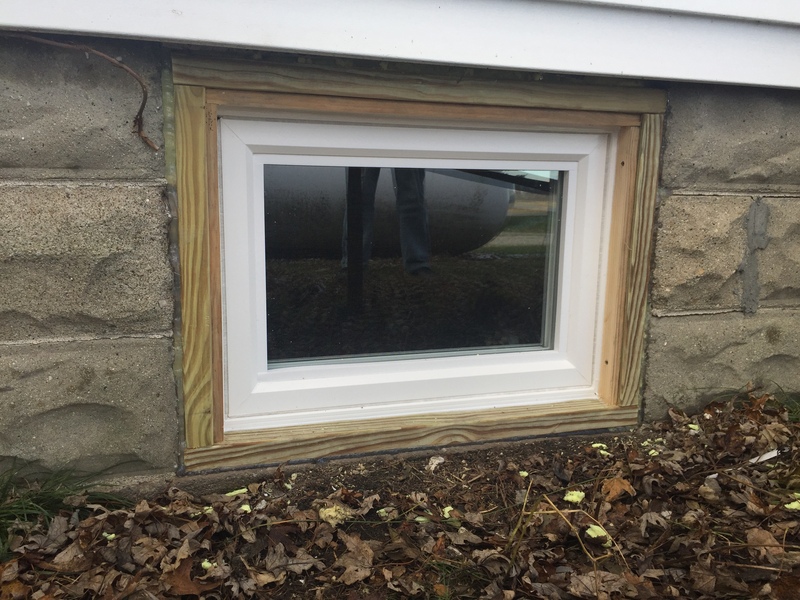 I then fabricated a custom treated wood frame so I could install the new Energy Star Rated replacement vinyl windows by JeldWen. 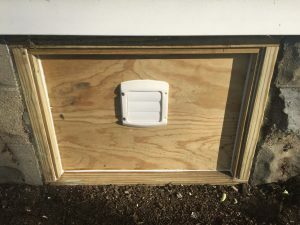 I insulated around the edges of the new frame with expanding foam insulation to really get back into all the nooks and crannies. From the outside, I sealed all edges with 100% silicone caulk for extreme weather durability and expansion/contraction that will happen through the changing seasons here in Ohio. 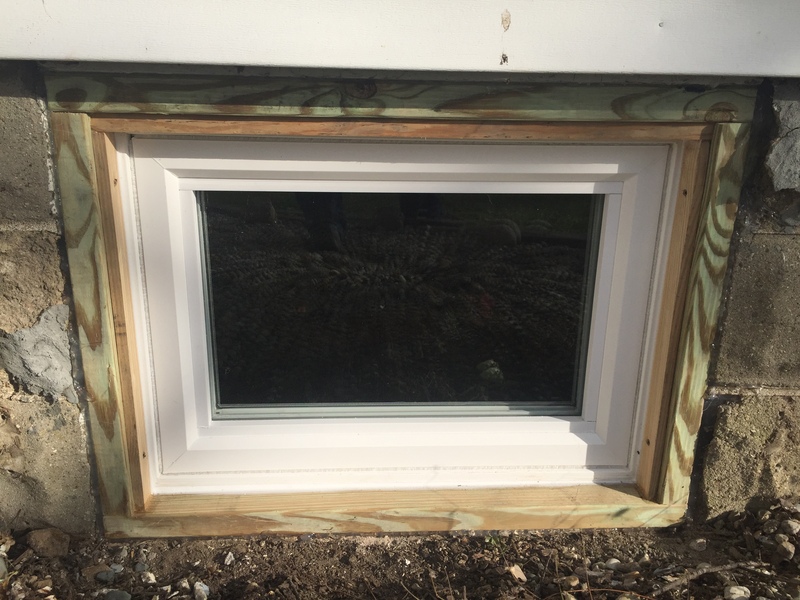 The gaps around the window were sealed with fiberglass insulation, and then covered up with custom stop trim. 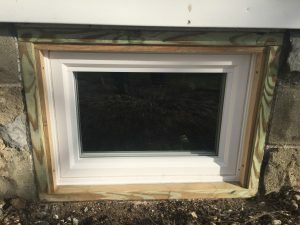 The windows are awning style windows that hinge at the top and crank open with ease. JeldWen replacement windows feature a lifetime warranty, low-e UV protection, and a double pane argon gas insulation. 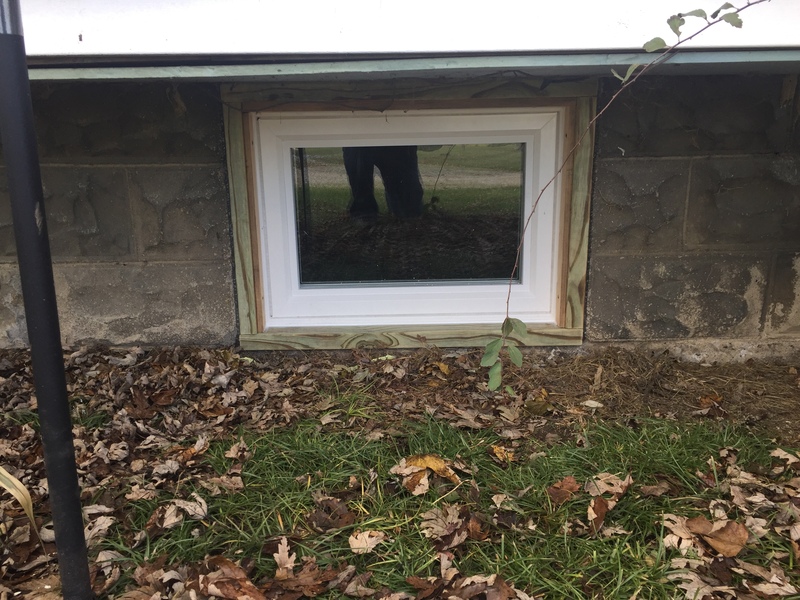 This basement is going to be nice and toasty warm this winter! Have you considered having your basement windows replaced? 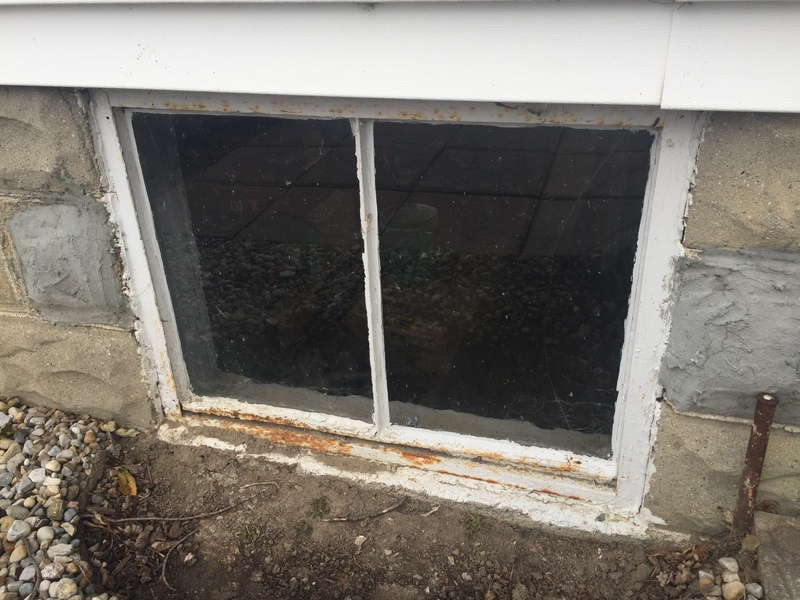 All you have to do is give me a call to set up an appointment: 419-212-3200.